Sun Cabinet Co., Ltd. established in 1988 to manufacturer and export quality wooden furniture for home interiors. 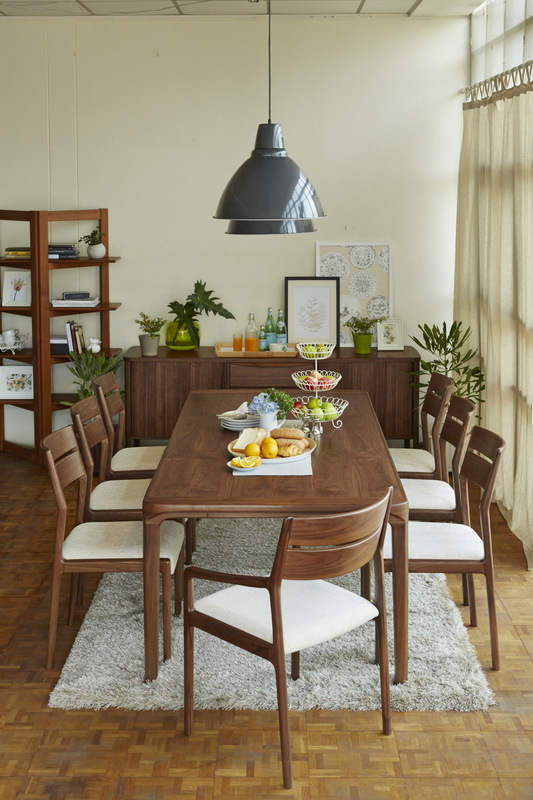 This includes very stylish living room, dining room and bedroom, predominantly in teak and also in American Walnut, American black cherry and oak. Our classic and contemporary collection created by Danish and Dutch designers together with our experienced Thai craftsmen use their skills to turn these designs into premium quality furniture. This elegant dining room suite features the simple iconic form, functional sublime wood construction designed by Frans Schrofer. Our most comfortable dining chair model FS-17, dining table model FS-18/1 with 1 extension leaf width 391/2" length 63 extended to 86". Matching sideboard are available in 2 sizes 783/4" length or 66" with regular cupboard door or tambour doors. Picture shown in American Walnut. 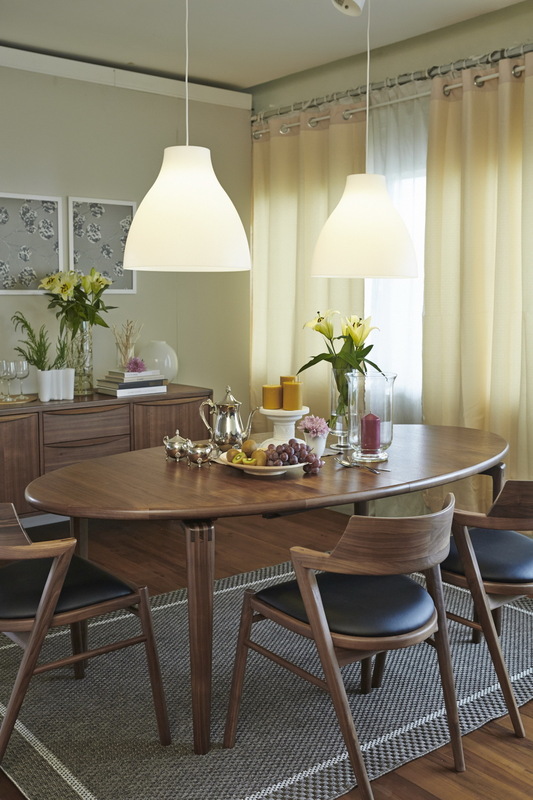 Another beautiful design we are proud to present is the dining room set by Danish Architect John Mortensen, model JM103 low back chair with wenge butterfly insert and model JM203/1 oval dining table with 1 extension leaf width 413/8" length 783/4" extended to 100". Picture shown in American Walnut. Please stay tuned to Sun Cabinet news. Throughout 2016 there will be more new and exciting introductions, which will broaden our portfolio, and enable our products to be sold in new areas of the furniture market.